Credit cards have woven themselves into the very fabric of personal finances as they help consumers conduct financial transactions without being unnecessarily unburdened by cash. 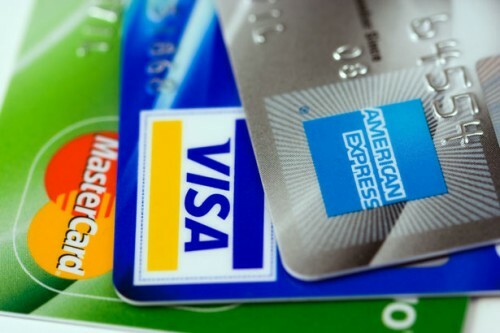 Of course, many people erroneously blame credit cards when people fall into personal finance troubles; yet, the fact that some people were not able to manage their finances properly doesn’t detract from the fact that credit cards provide ease and convenience in financial transactions. Beyond being an important tool for conducting financial transactions, different credit cards also come with an interesting array of perks and rewards. In fact, many people choose their credit cards based on the rewards or perks available. However, beyond applying for a credit card that seemingly offer the most interesting number of perks and rewards, below are 4 simple things that you can do to get the best out of your credit card rewards. Many credit card companies offer interesting bonuses and perks that could make you want to sign up for a new card every time you get an offer for a new card. If you respond to all the tempting offers, you’ll practically end up having a card for every kind of expense, which technically gives you better chances of gathering more points, but often becomes very challenging to manage. However, the best credit card you can get is a card that blends with your lifestyle especially in being useful for your day-to-day expenses. Hence, you’ll be better off focusing on choosing a credit card that gives you the maximum valuable reward for your most frequent expenses. Most people will get the most rewards from cards that offer maximum rewards on food and grocery than from cards that offer the best perks in the cinema. If you travel a lot, you’ll want to put a premium on a card that offers the best rewards on travel and hospitality than on cards that gives you the highest bonus in the only coffee shop in your hometown. It might sound counterintuitive, but there’s a right time and a wrong time to apply for credit cards in relation to getting perks, rewards, and bonuses. Credit card companies typically vary the kinds of rewards and benefits you get for signing up for their cards based on how incentivized they are to attract new customers at that time. Hence, someone that applied for a credit card in August might end up having better perks than someone that applied for the same card in September. In fact, it appears that you’ll get the most perks on a credit card when you apply in just before the holiday rush, November, or December rather than other months of the year. You should also take the time to shop around from different credit card issuers if they offer different kinds of perks for card that serves the same purpose. Many people like to pile up their bonus points in the hopes of using it to cover a huge transaction at a go. Of course, you’ll need to have amassed a huge amount of points to redeem them for stuff such as hotel reservations and flyer miles. However, card issuers tend to increase the number of points you’ll need to redeem specific perks over time. Hence, a perk that you could have redeemed for 500 points in January might require 800 points to be redeemable in July. In fact, for the most part inflationary tends erode the value of your points and you’ll end up using the points to redeem something of lesser value than you would have gotten if you’ve used up the point at an earlier time. Lastly, train yourself to pay special attention to the usage and redemption of your bonus points. You should see your bonus points as a “currency” of sorts, that’s why they are “earned”, and you should spend them with the same presence of mind that you’ll employ when spending money. Before you redeem your bonus points, you might want to take a moment to calculate the actual dollar value of that reward so that you can be sure that you are not overpaying for the item with your bonus points. If your bonus points are worth $500, it doesn’t make much sense to redeem the points on something only worth $300.